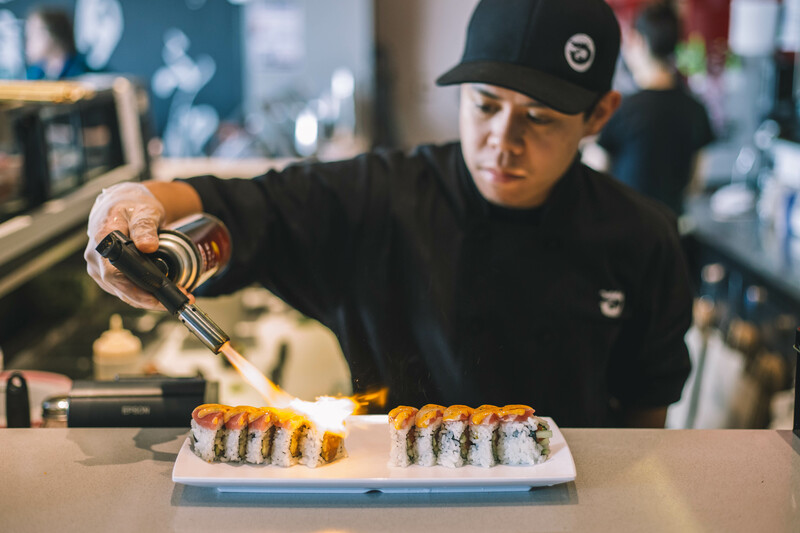 We offer hot kitchen entrees, sushi platters and private sushi chefs for every occasion. So sit back, relax, and let us do the cooking. Pick-up, delivery or full service catering available at select locations. *Some restrictions and charges may apply to menu changes. Prices do not include delivery. Choose 4 Classic Rolls; platter is served with 2 of each choice. 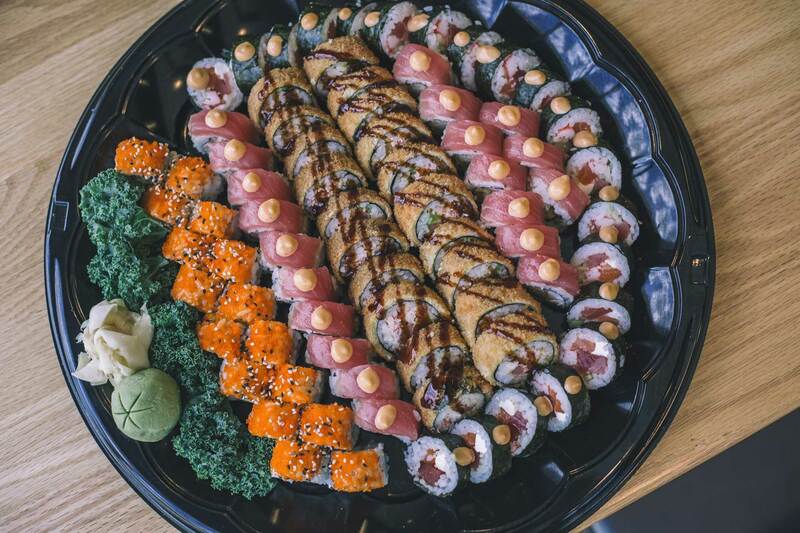 Choose 4 Signature Rolls; platter is served with 2 of each choice. *Consuming raw or undercooked meats, poultry, seafood, shellfish, or eggs may increase risk of food borne illness. Due to certain limitations, we cannot accommodate all allergy request. Some restrictions and charges may apply to menu changes. 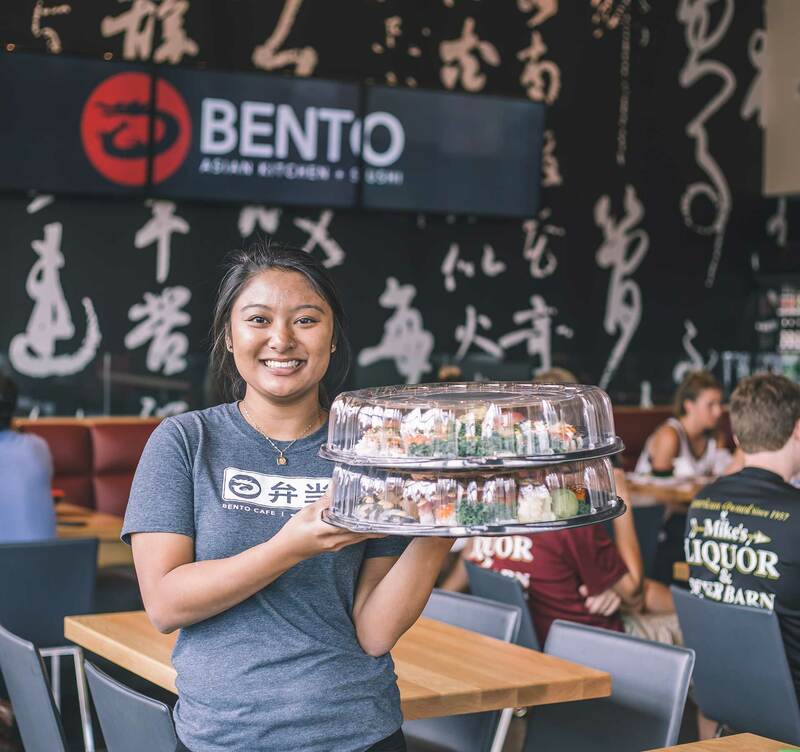 Contact your local Bento Cafe for a customized quote.